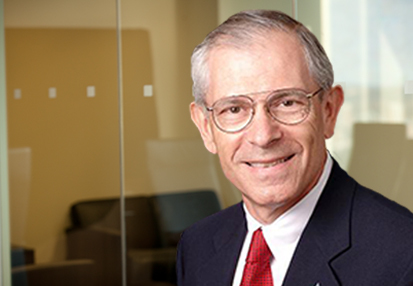 George Blank is a Senior Advisor for TM Capital Corp. and assists the firm’s efforts in the Healthcare sector. In 1979, George founded The MedTech Group, a plastics technology contract manufacturer dedicated to engineering and manufacturing of disposable medical products for the healthcare industry. As its President & CEO, he expanded MedTech’s core plastic technologies into product design and development, injection molding and extrusion of mission critical components, and manufacturing and packaging of sterile devices for the minimally invasive, therapeutic and interventional markets. In 2008, TM Capital advised MedTech in a recapitalization with KRG Capital, a Denver-based private equity firm. In 2011, the company was rebranded as Vention Medical and George became Chairman of the Board of Directors. In 2017, after completing eight acquisitions (TM Capital served as financial advisor on two of the acquisitions) and expanding to ten domestic and international locations, the Advanced Technologies segment of Vention was acquired by Nordson Corporation (NasdaqGS: NDSN) for $705 million, and the Device Manufacturing Services segment was acquired by MedPlast, Inc, a medical device contract manufacturer jointly owned by private equity sponsors JLL Partners and Water Street Healthcare Partners. Prior to founding MedTech, George served for sixteen years in various management positions with Johnson & Johnson including Vice President, Manufacturing of the Jelco Laboratories Division. In 2004, and again in 2008, MD&DI Magazine selected George as one of the 100 most notable people in the medical device industry. He is a past President of the Jewish Federation of Somerset, Hunterdon, and Warren Counties; Temple Sholom, Bridgewater and Congregation Shaari Tefilah, Somerville. He currently serves as Chairman of the Friends of Yemin Orde, is a member of the National Council of AIPAC and is active in supporting Hebrew Day School education. George served as an officer in the U.S. Army Corps of Engineers. He earned a BSIE degree from New York University and an MBA from George Washington University. He and his wife Harriet reside in New Hope, Pennsylvania. They have two children, ten grandchildren and three great grandchildren.